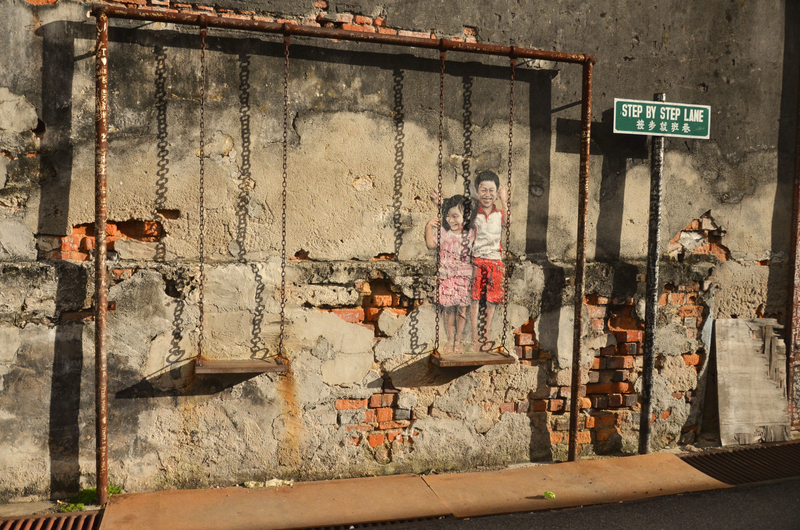 This is short post on Penang, the little island state to the northwest of Malaysia. This little treasure chest of a place has too much for me to cover in just 3 short days. Hence, I will pick out the highlights and share them here. Culture, history, food, beaches, nature, this awesome place has it all. 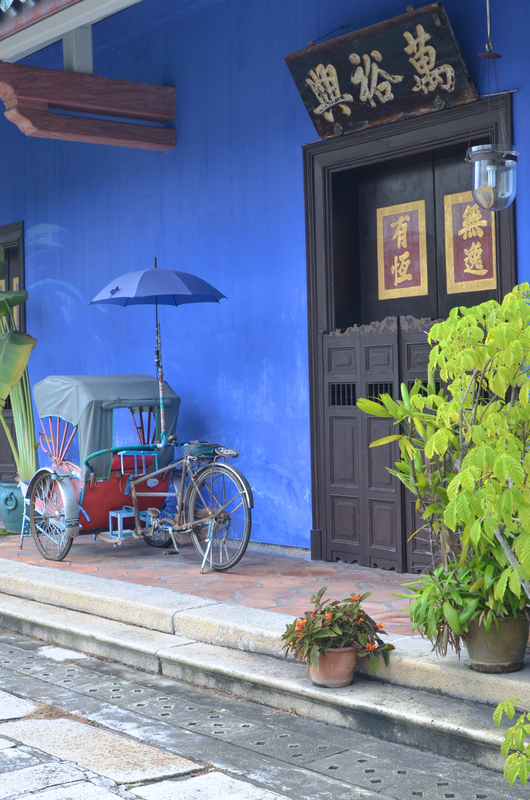 For those who are planning to visit this cool island state, the place to stay, other than the beach is Georgetown – the heart of Penang. 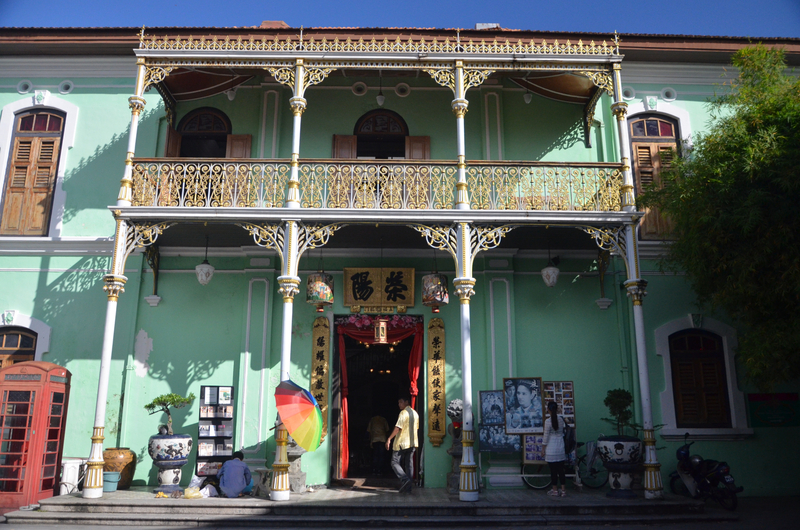 Georgetown is a UNESCO preserved town, so the entire town is like a living museum. There are hotels and there are hotels – choose wisely. 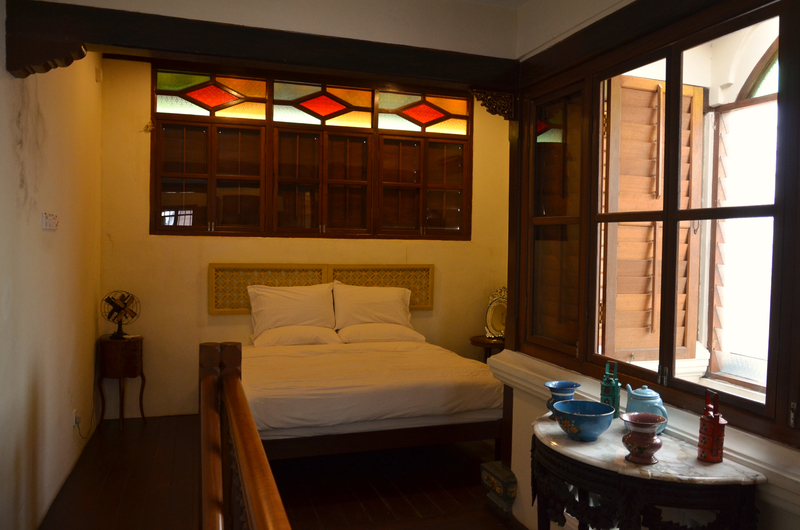 Why visit a living, breathing museum and stay in a modern, bland 4-5 star business hotel? 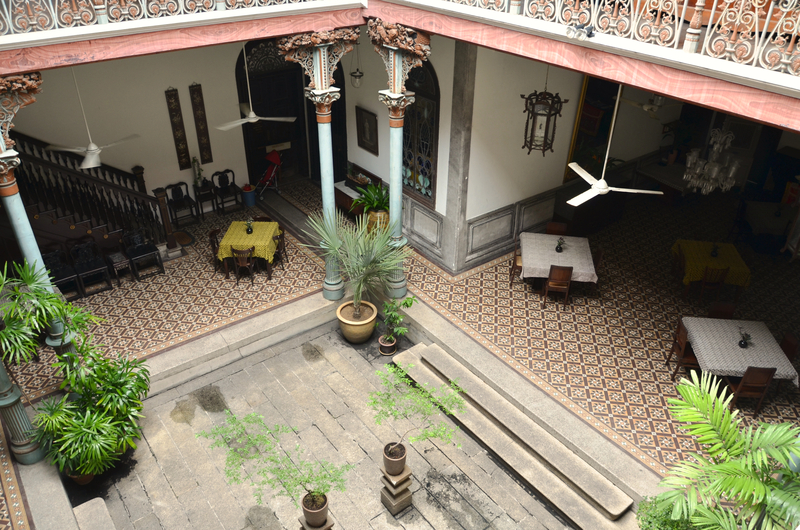 There are many restored homes or buildings that are converted into hotels or BnBs. 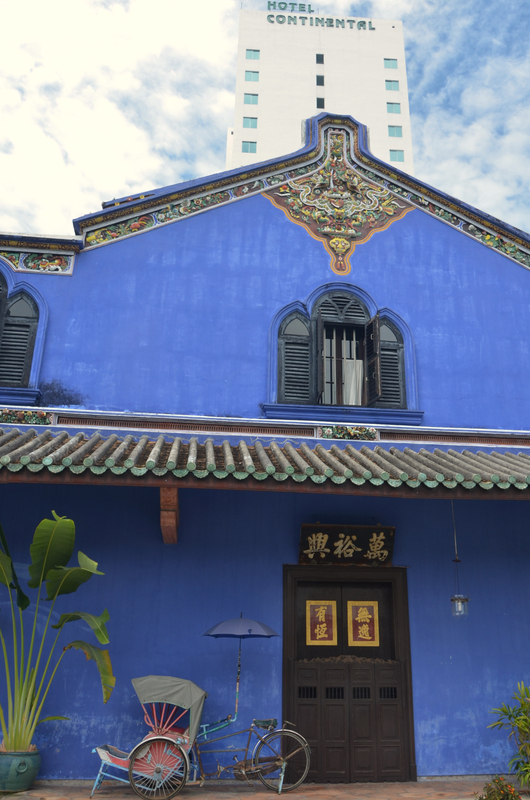 They represent the very nature of what Georgetown is – a living Peranakan, or authentic Straits Chinese settlement with a curious blend of Chinese, Malay and European design. 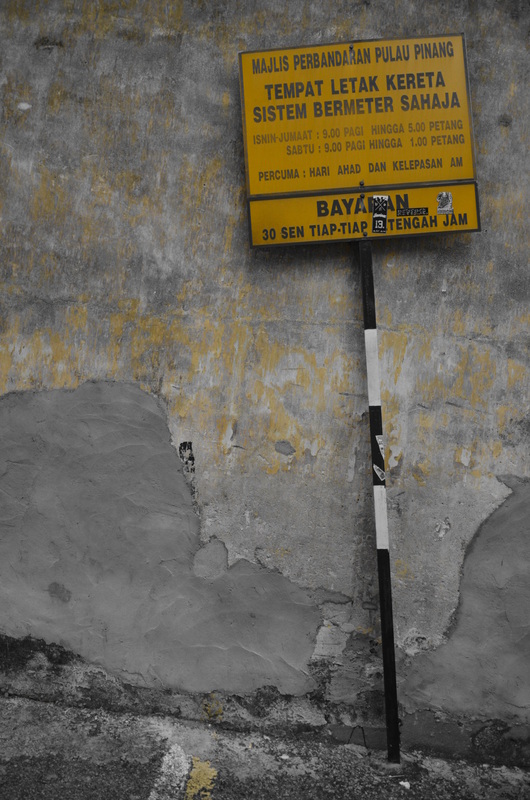 Nowhere in the world has places like these except Penang and Malacca. 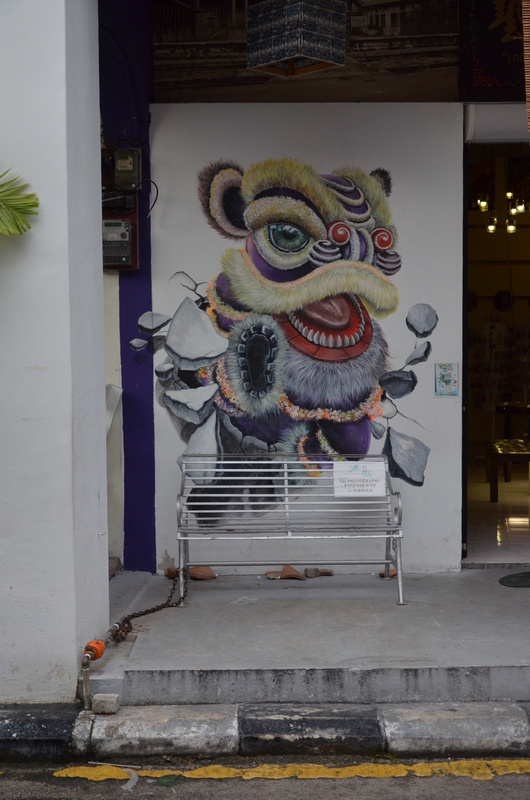 Most of Singapore’s peranakan culture is kinda watered down already. 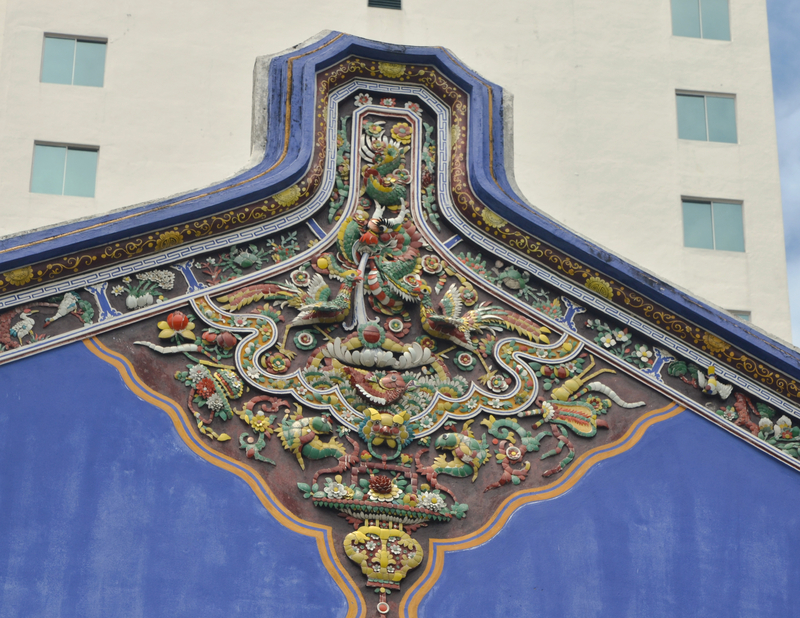 But Penang’s heritage protected by UNESCO continues strongly. 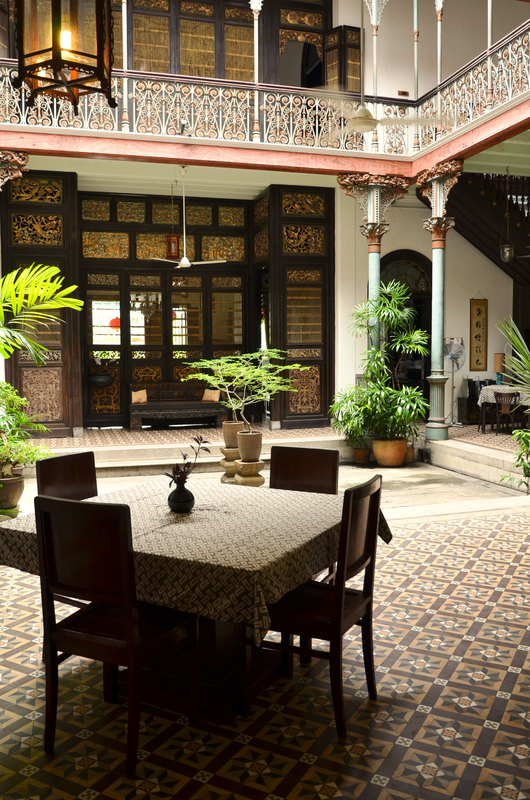 Do yourself a favour and choose a cultural accommodation choice and experience the very nature of Penang by sleeping in it! 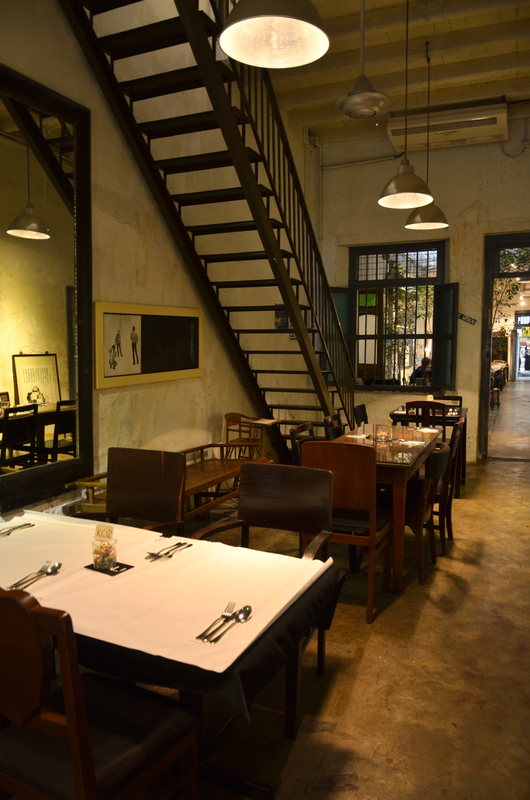 For us, we chose 2 nights in a really nice restored shop house called the Straits Heritage@92 Armenian Street. Right in the heart of Georgetown. 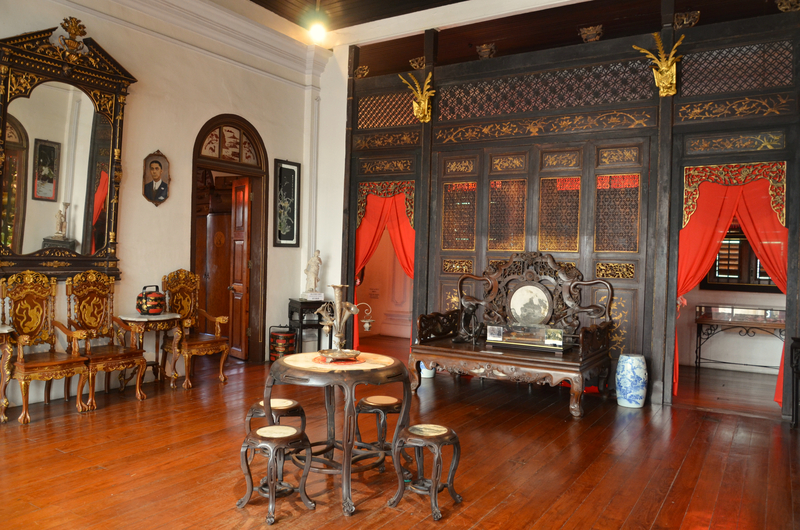 Just a few doors away is the historical building where Sun Yat Sen plotted the 1911 Chinese revolution. 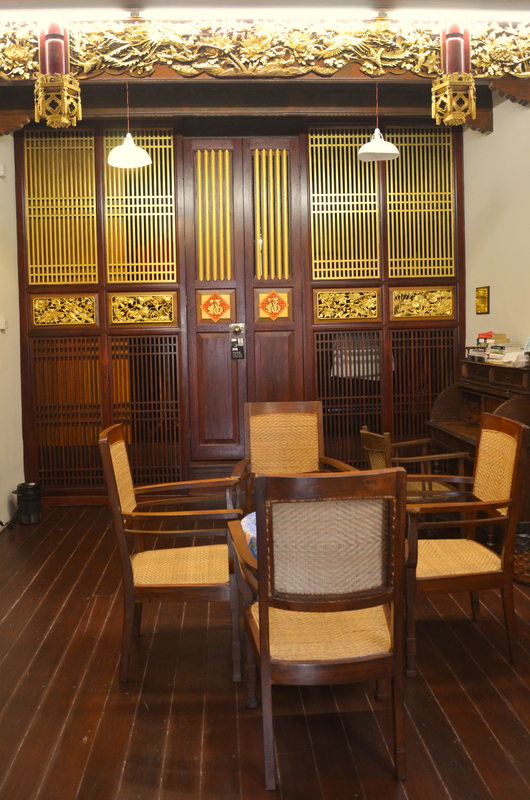 Just the carved, gold leave doors of authentic Chinese, turn-of-the-century designed cost RM 20 000.00 to replicate. 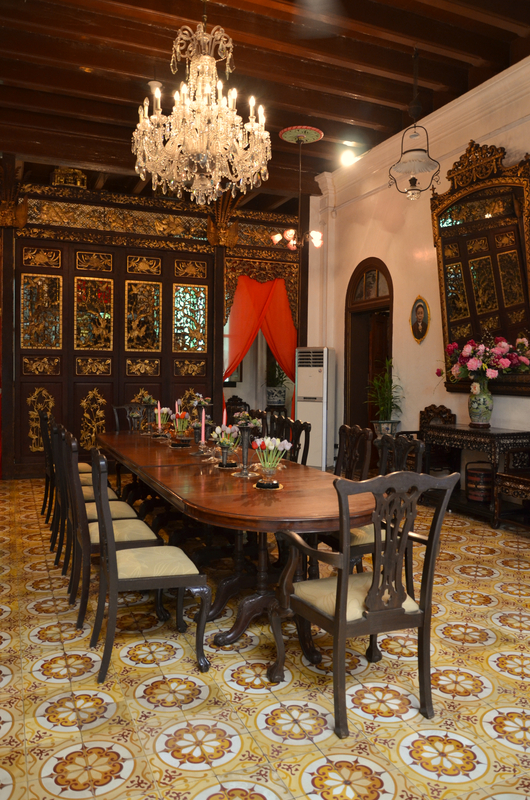 Imagine the detail and care put into the place by the owners to give their guest a real historical treat! The house has 3 stories, with suites on the 2nd and 3rd floor. You can choose either. We took the suite on the 3rd floor, but as there were no occupants on the 2nd, we had the whole house to ourselves. 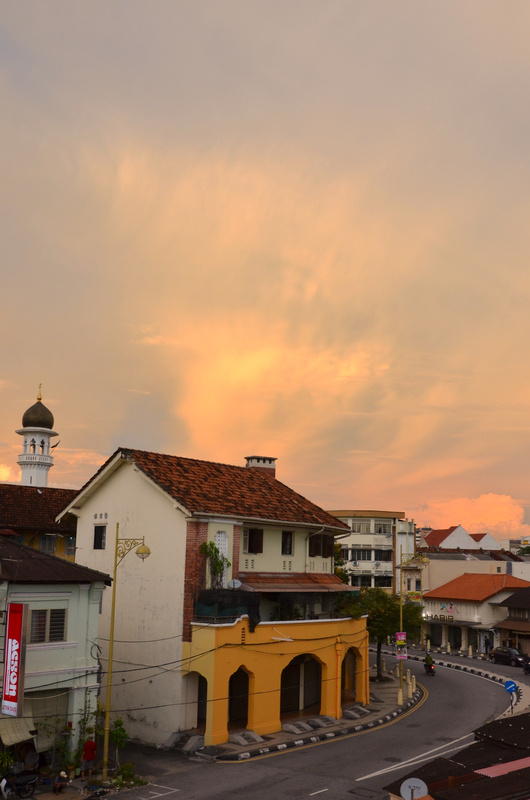 The view from our 3rd story room during sunset. 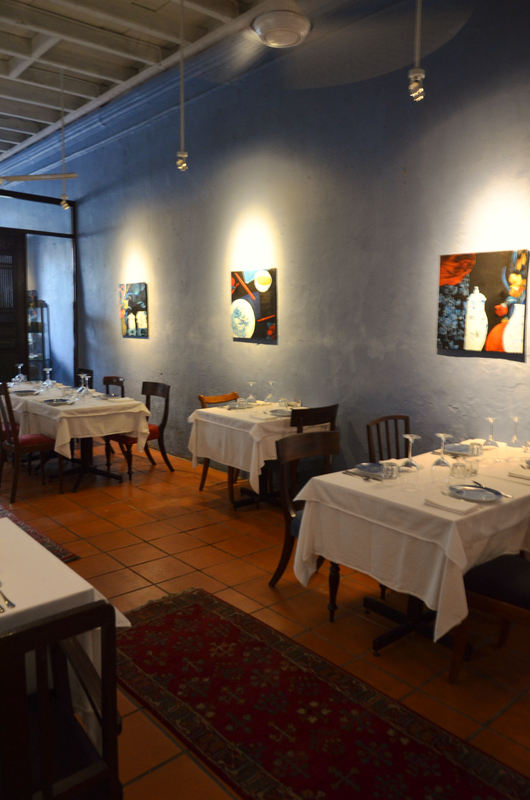 Our hotel is right in the middle of historic Georgetown – the perfect place to be! This is one place that you must visit. If you can stay at least a night, do so! 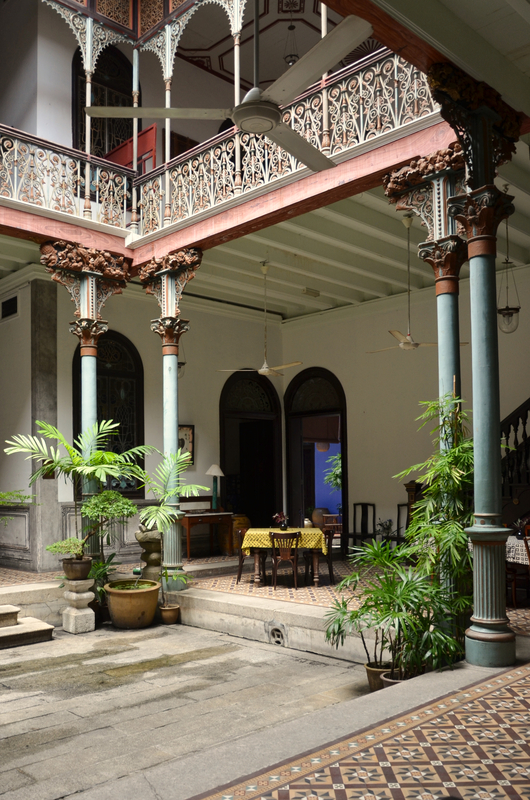 This place is a living museum, and lets you stay in one of two buildings remaining in the world that has this unique architecture. 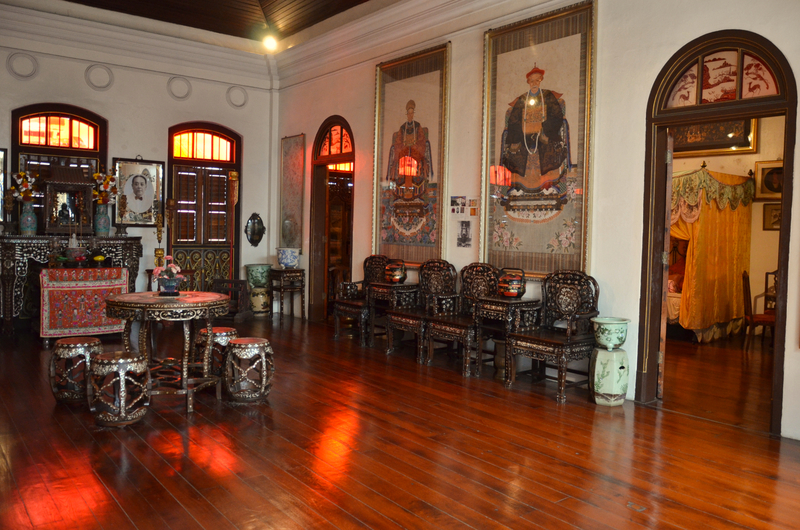 This place belonged to a man who was known as ‘The Rockefeller of the East’ – Cheong Fatt Tze. 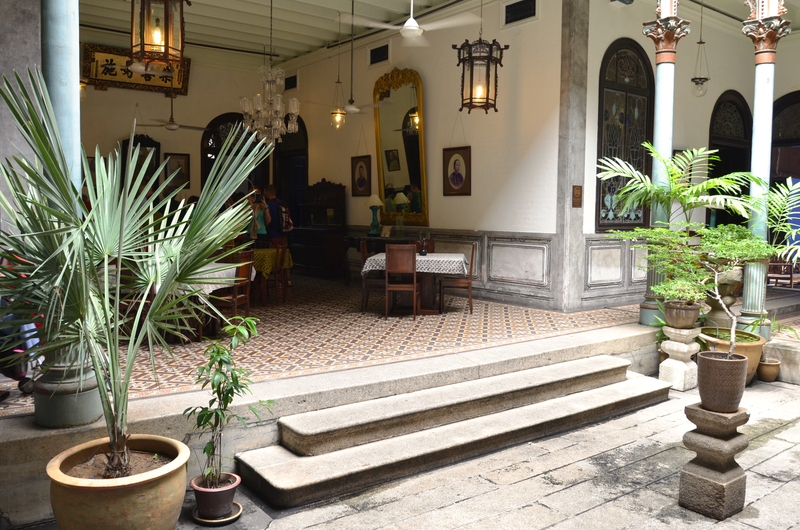 He arrived penniless in Penang as a teenager and became one of the richest and most powerful man in Penang. He died in 1916. He had 7 wives and god knows how many kids. 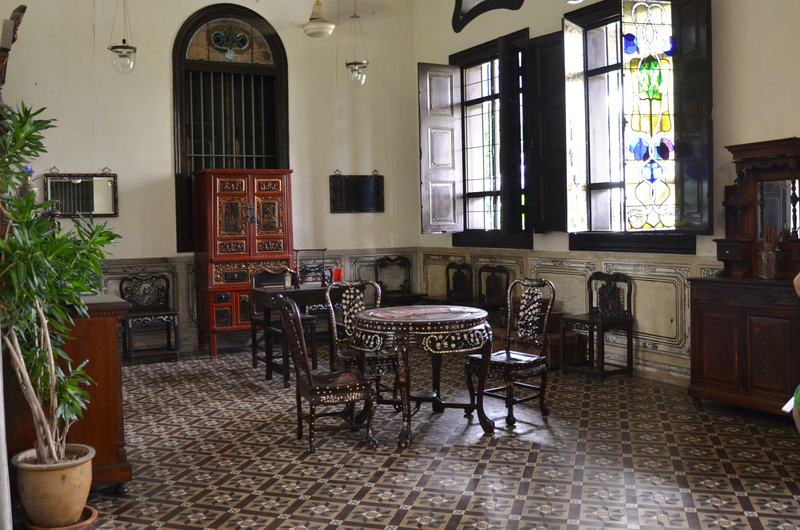 This amazing mansion was restored, costing a fortune, after the mansion fell into disrepair when his descendants either left or died. This place has decor pieces that can no longer be found anywhere in the world. 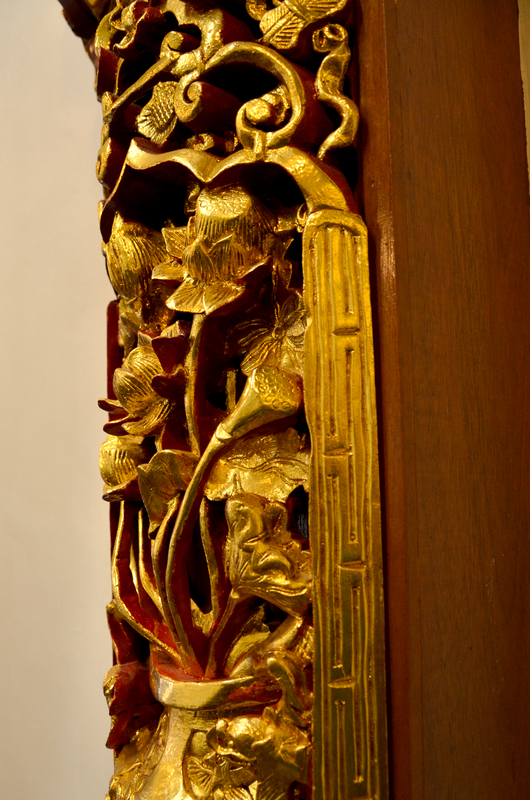 Some of the artwork are no longer replaceable as there are no more living craftsmen who could duplicate it. 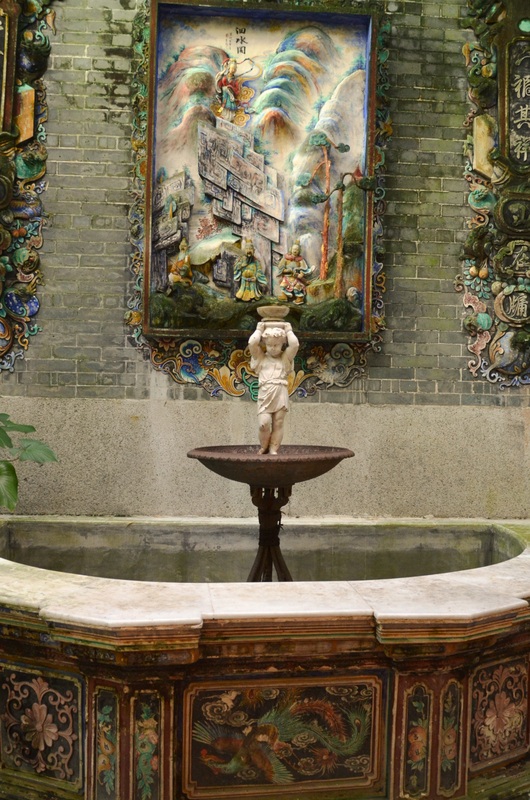 House guests are allowed to wander the grounds at will, and take as many photos as you like but visitors who paid for the tour (11am, 130pm, 3pm) daily can only visit certain sections of the place. With such a long history, this building has its share of amazing stories and drama, shared by knowledgeable tour guides. 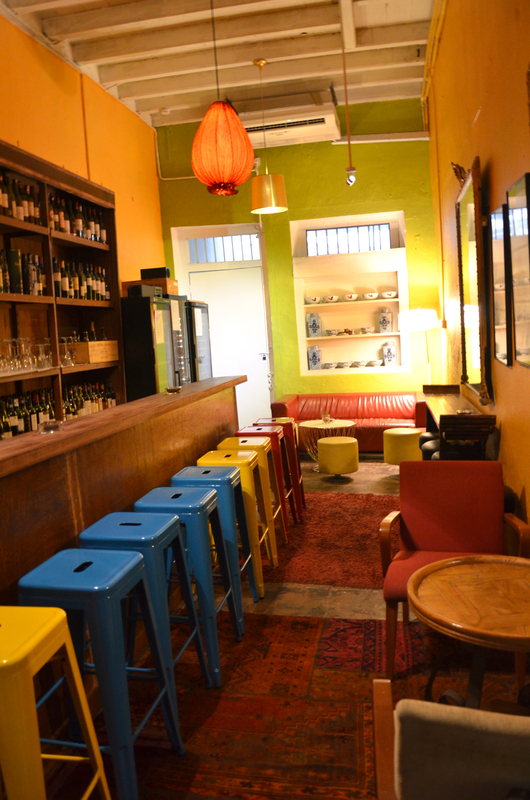 One note however, the places is rumoured to be haunted. I asked the tour guide if this is so, and she denied it vehemently – a tad too vehemently, I feel. However, the whole place just did not feel right. There is a gloom to it, despite having many windows letting light in. It is not dark, but has a heavy, weary spirit. The gloominess, in chinese, is very ‘Yin’. 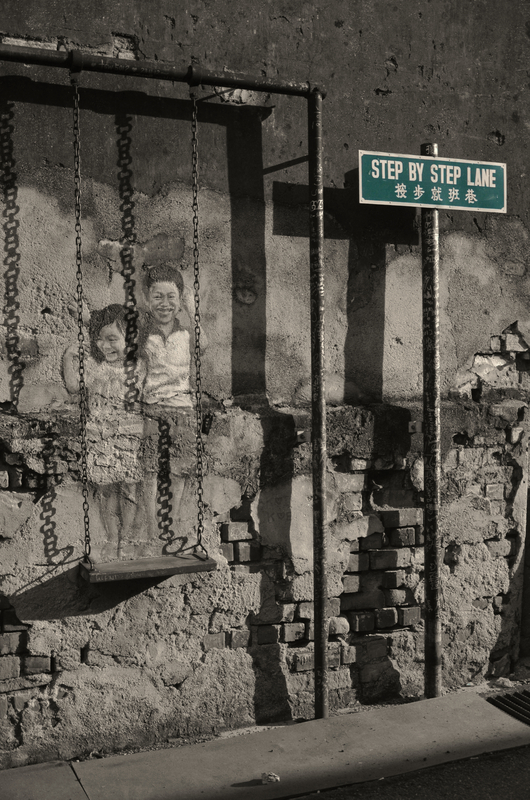 The whole place has a sorrowful feel to it, as though tragedies have occurred there among the occupants, and the pain and loss erased and forgotten over time, but lingers on because while the people may be gone, the walls that witnessed everything remains….For some strange reason, as I go through the photos taken there for editing, I feel the ‘Yin’ reaching out of the computer to me, causing a feeling of sadness to arise as I look at the glorious architecture. 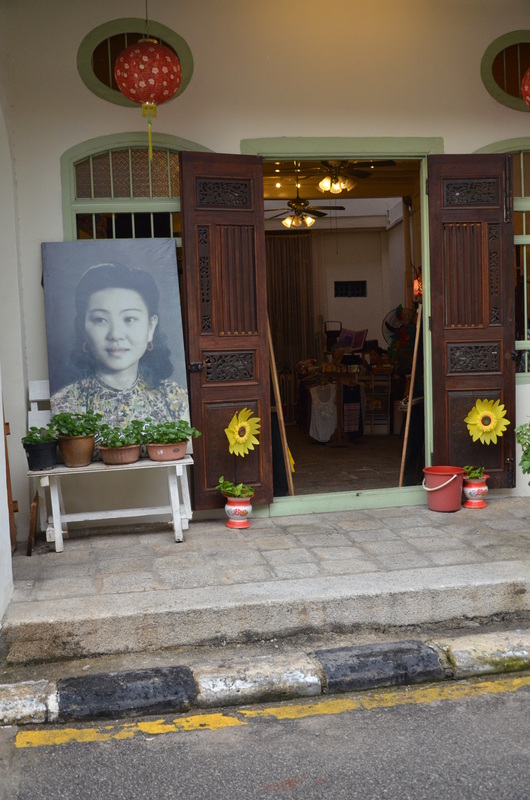 To add to the effect, my wife felt that the portrait of the 7th wife of Cheong Fatt Sze looking pointedly at her. If you ever visit, try looking straight into her eyes. She was 17 when she married him. He was 70. This was the home of another from penniless-to-riches merchant. 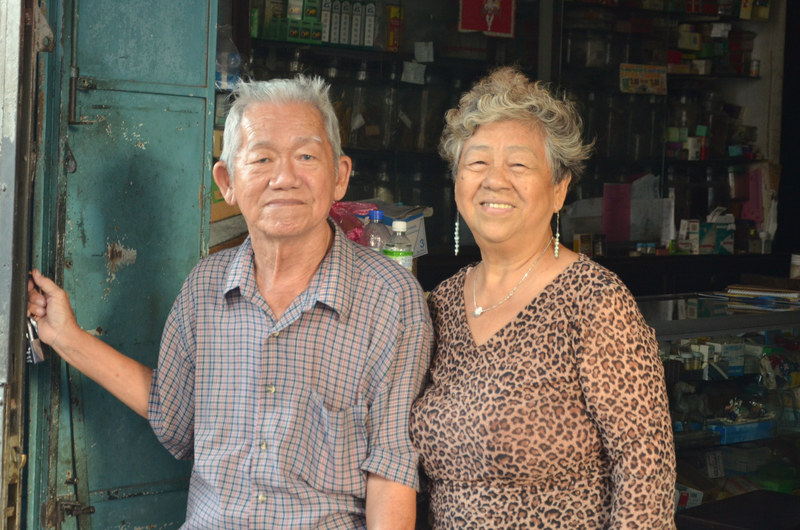 Chung Cheng Kwee was also made a ‘Kapitan’, or a community leader. 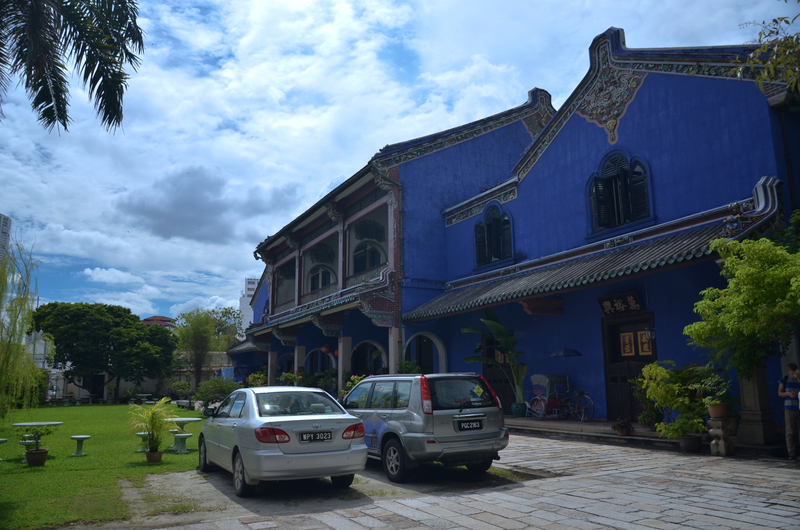 This place has a cheery feel to it, and visiting it after touring the Blue Mansion, I can’t help but feel the difference in atmosphere. 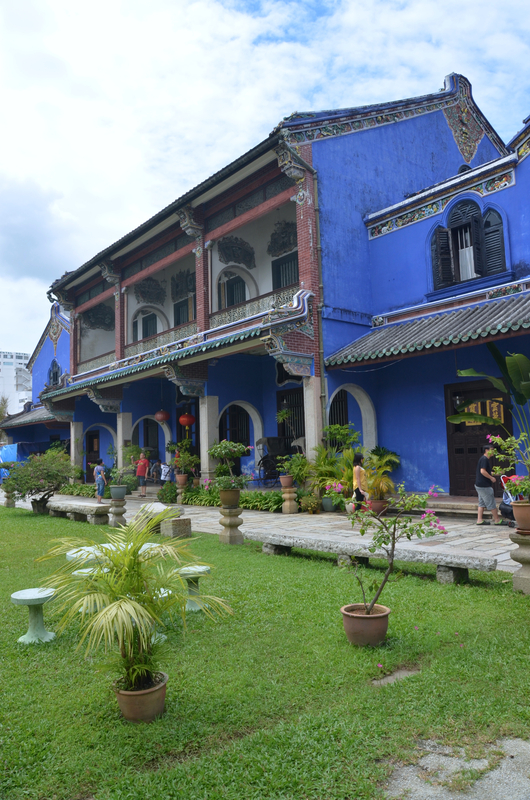 Anyway, this museum was used for the shooting of several movies depicting the lives of the Babas or Nyonyas – the Straits Chinese because of the beautiful and authentic design and furniture. 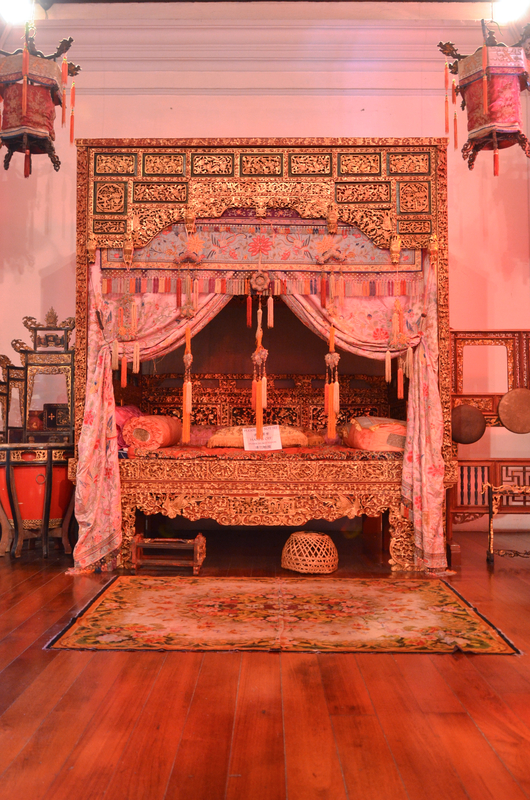 There are rooms that hold the possessions of 3 generations of Nyonyas – from the turn of the century to the early 1950s, so you can see how the wedding gowns and bridal chambers changed over 3 generations. 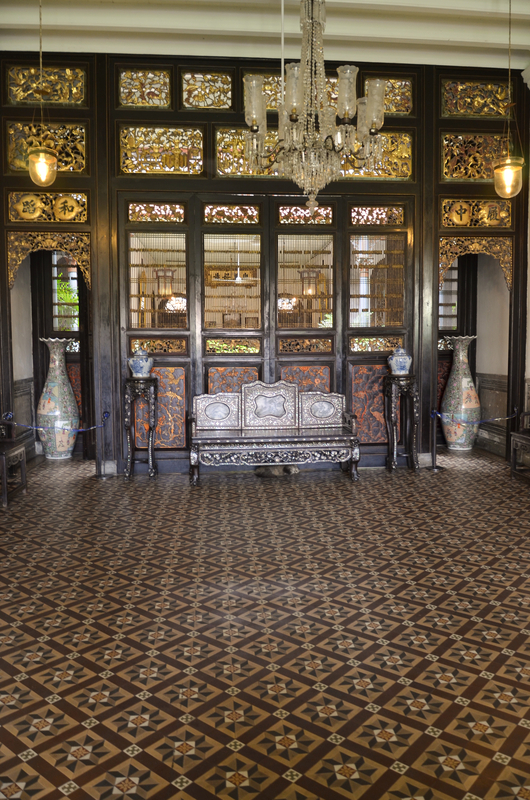 It holds thousands of artifacts from that period of time, and gives a good glimpse of how Asian culture blends with Western influences. 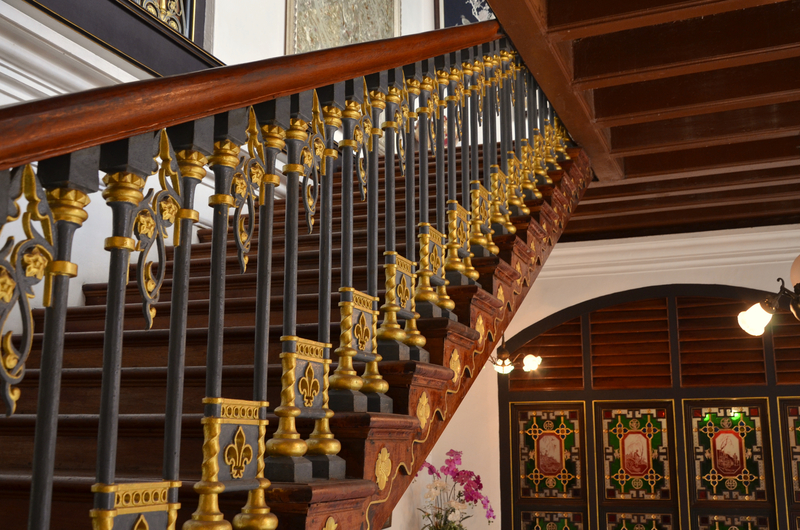 For example next to the Chinese wooden doors painted in traditional gold leaf stands a staircase with rails made in Scotland. 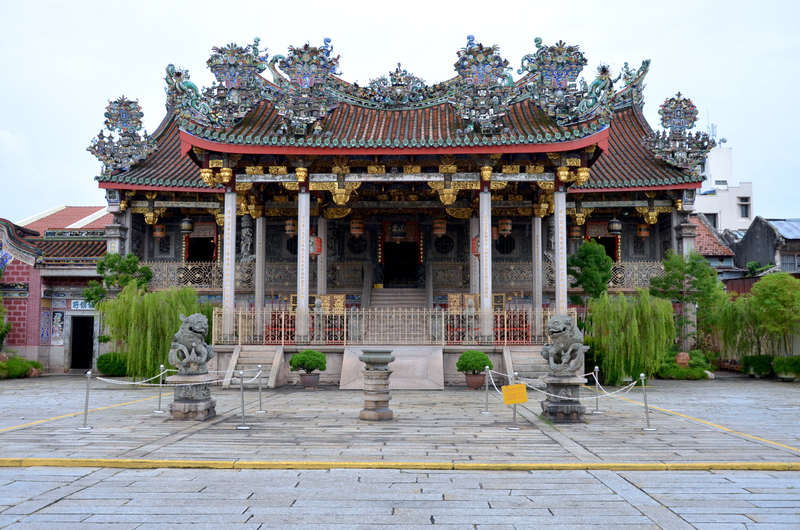 The Khoo Kongsi looks exactly like a set straight out of a martial arts movie. 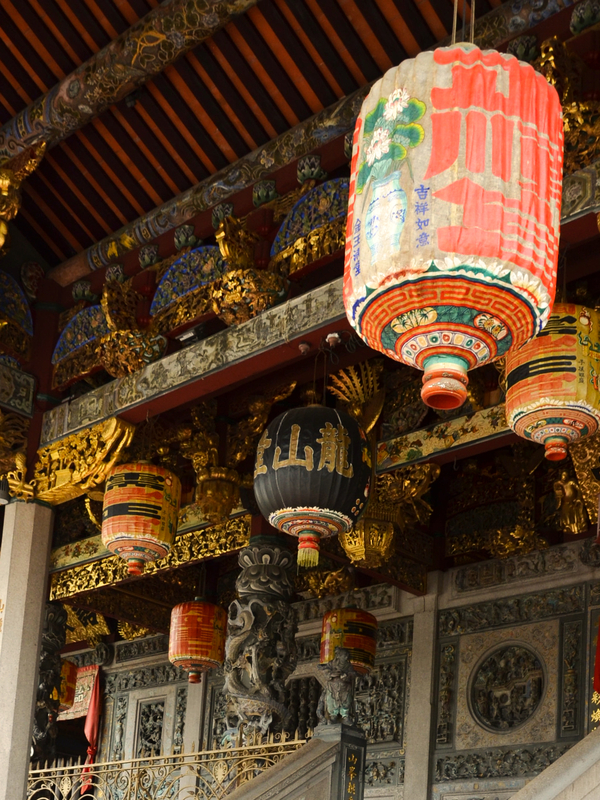 It has an ancestral temple, but has a larger compound that used to house the clansmen. Here, history was made. 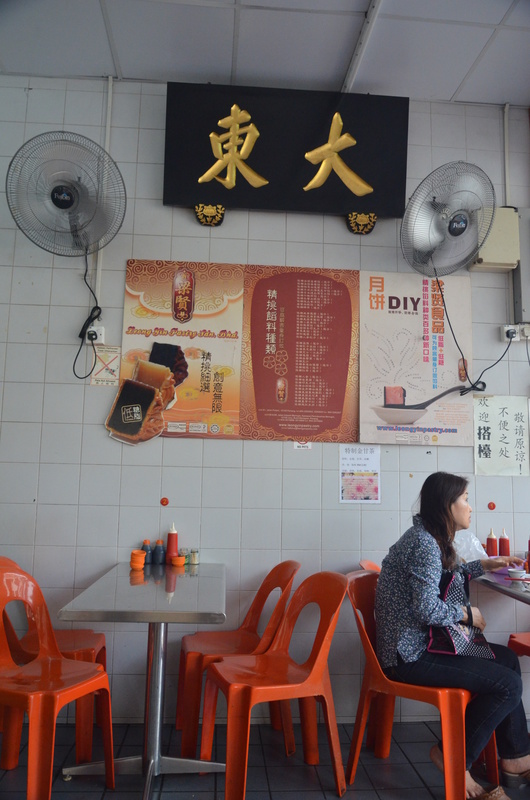 Community leaders planned how to help fellow clansmen, build guilds and businesses that supported militias back in China, started riots and plotted unrest against other rival clans. The clans in the past were frequently involved in Secret Societies, and this place was no exception! 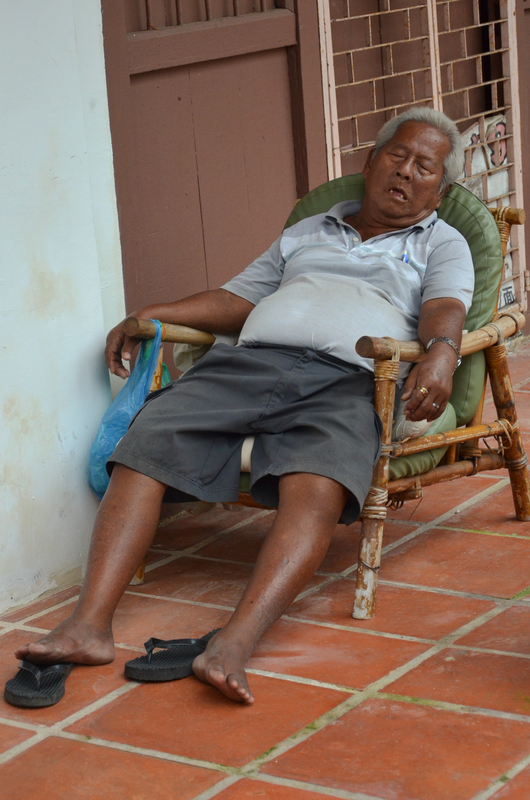 One of their leaders who arrested by the British for starting a major gang clash and exiled. He later returned. 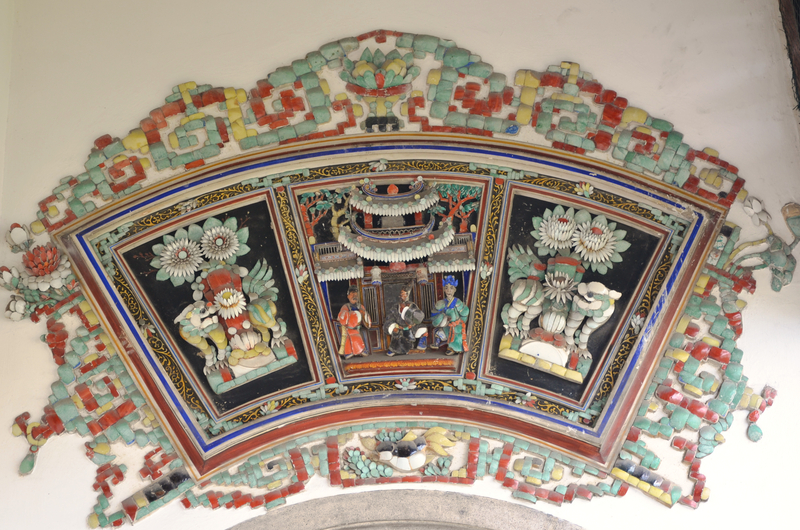 What is interesting is a hall where famous or successful members of the Khoo clan around the world had the names recorded for donations or outstanding contributions. 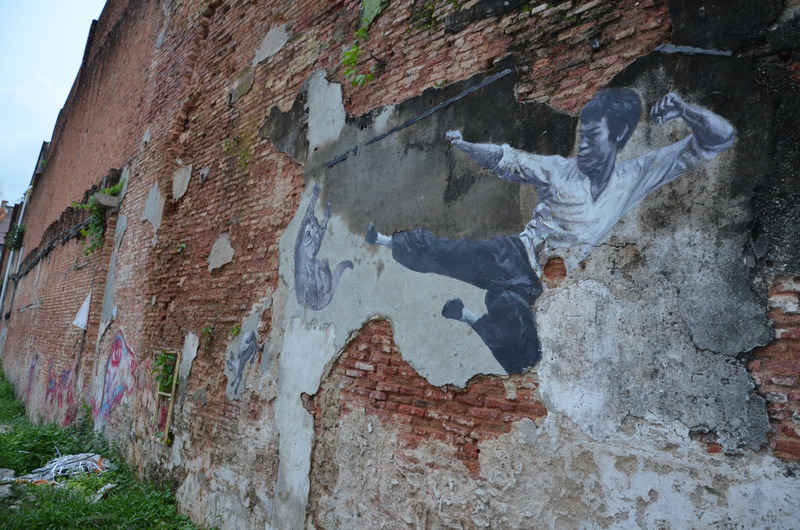 During festive seasons, the place will be lit up at night for performances or martial arts demonstrations. It is a pity I was not there during one of these occasions where the place is beautifully lit up with Chinese lanterns. 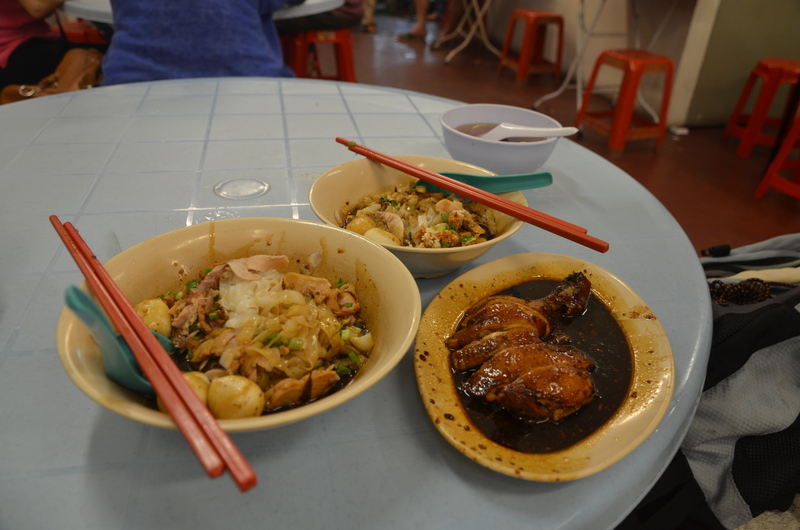 Soy Sauce Chicken Noodles (Oh so unbelievable!) Kimberley Street Night Market. Just keep walking until you see the bright lights. You can’t miss it! 3. And you must try the famous ‘Ambula’ juice! It is a light green juice. Probably a kind of green/sour mango with salted plum. 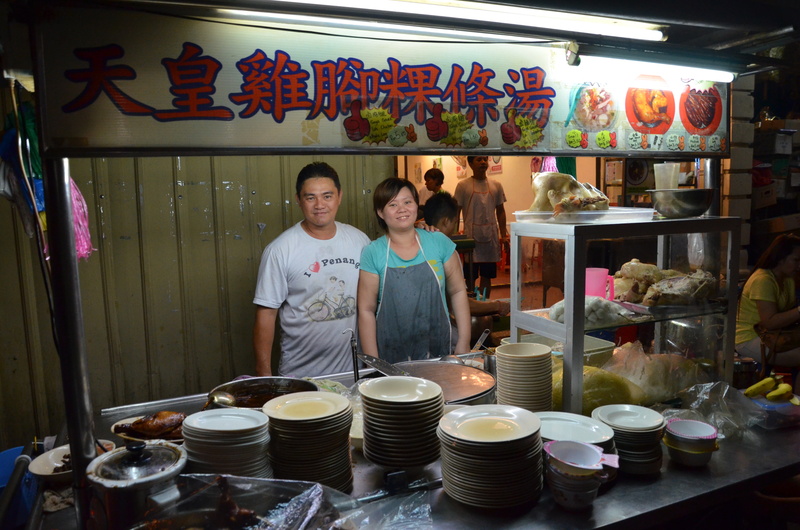 Dinner at Bukit Ferringhi Night market was pretty ordinary. 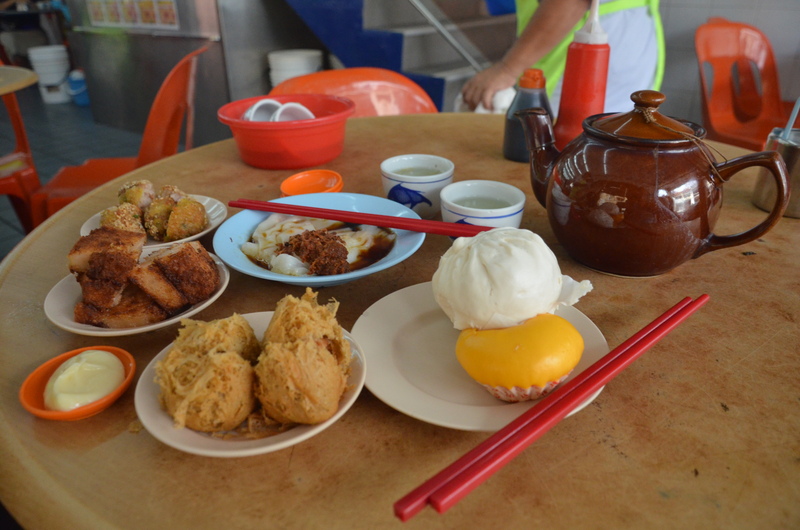 However, ordinary does not mean the food isnt nice – it just means that among the many delicious food, it was not super delicious. Just delicious only. 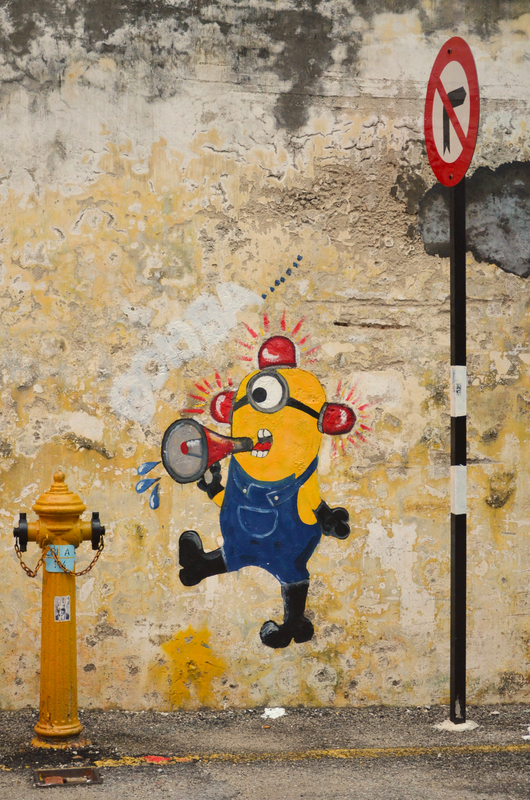 :p.
Want a taste of foregone childhood? 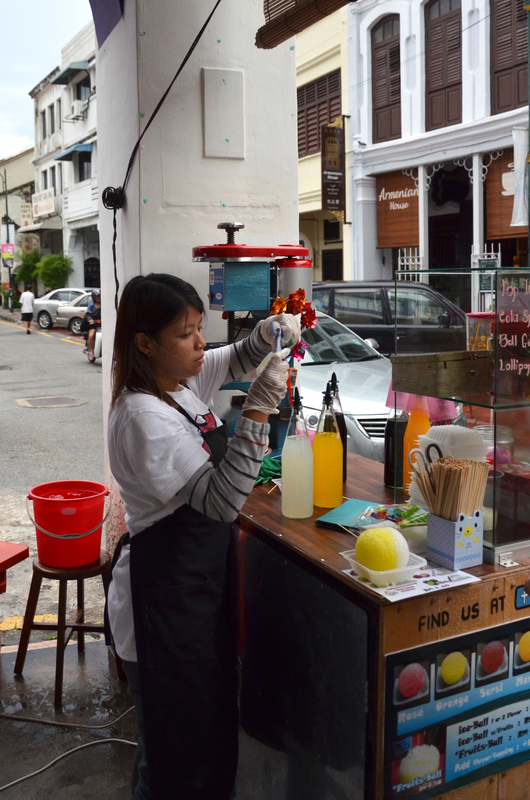 The ultimate thirst quencher – The ice ball on Armenian Street! Now, the people you meet makes the place right? 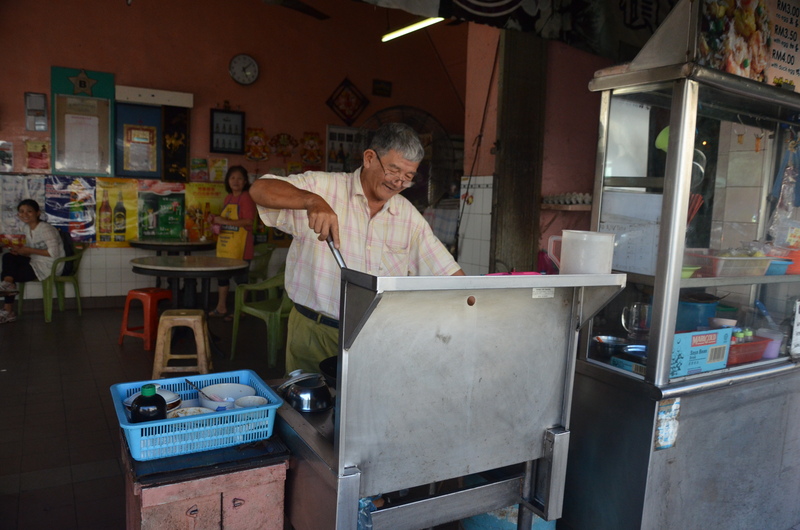 Penangites, I realised, are very warm and helpful people. They are proud of their city, and will go out of the way to help us visitors enjoy their city. Starting from the friend who picked us up at the airport. Let’s call her J. She is a friend of a business associate. When she knew we were coming, she volunteered to pick two complete strangers up at the airport, send them to their hotel, take them out for lunch, and spend the whole day just helping us familiarise ourselves with the city. Why did she do that, we asked. 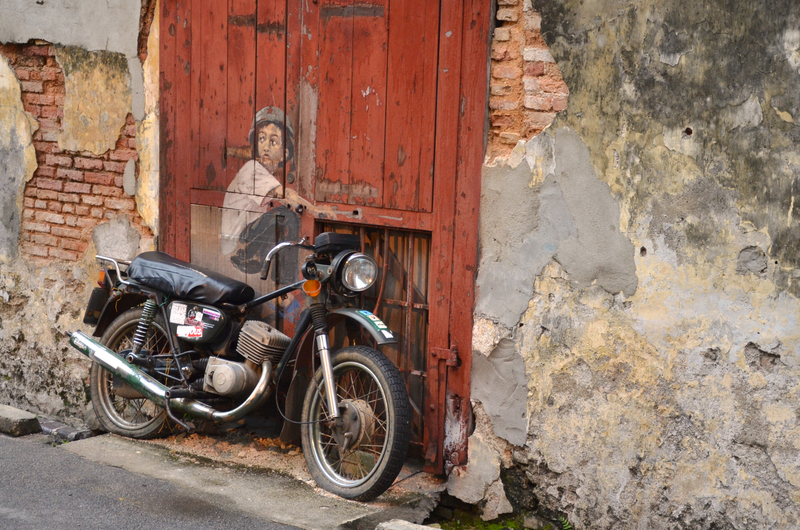 Her answer is because Penang is hard to get around, unlike Singapore. And because she did not want us to be inconvenienced, she burnt an entire day with us! 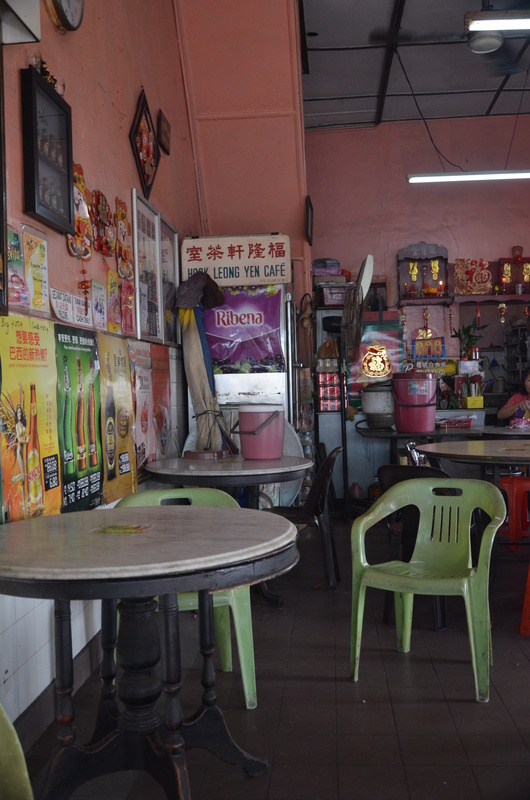 Her hospitality and kindness made us ask – are all penang folks like that? Over the next few days, we met many nice people. From the old couple who rented us bikes to the people who just chatted with us. 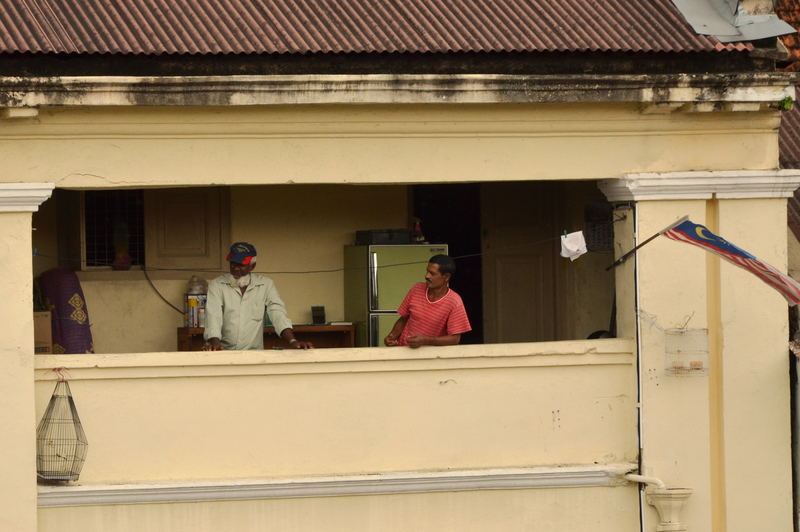 Hawkers, cab drivers, even strangers. Some of the nice people we met. 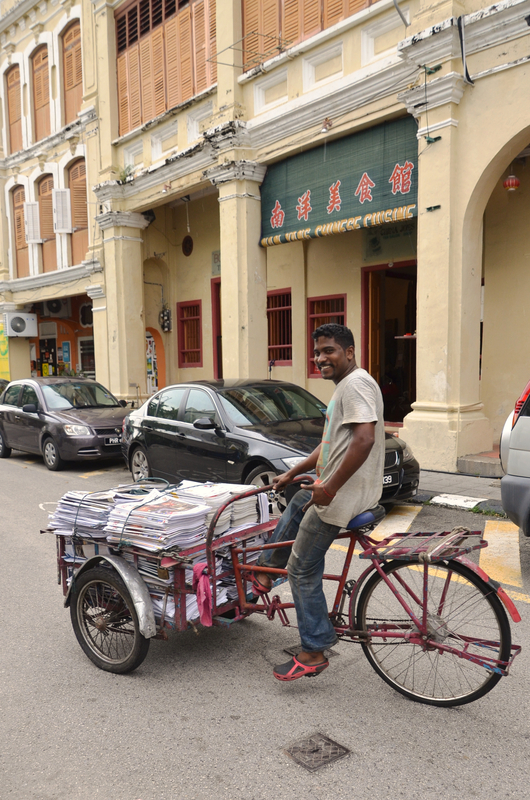 The old couple who rented us bikes – RM 10.00 a day! And lots of warm chatting and friendship! 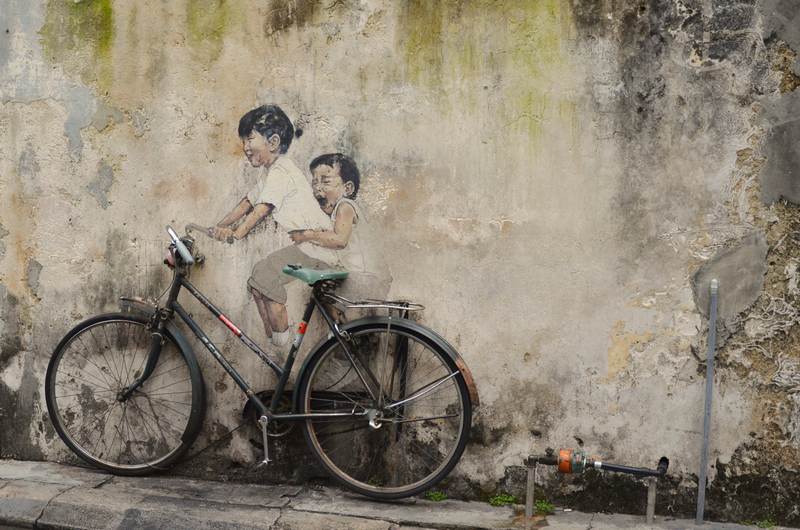 Bikes are a great way to explore Georgetown. If you need a bike, please rent from them :). A nice friendly guy who posed for a picture! 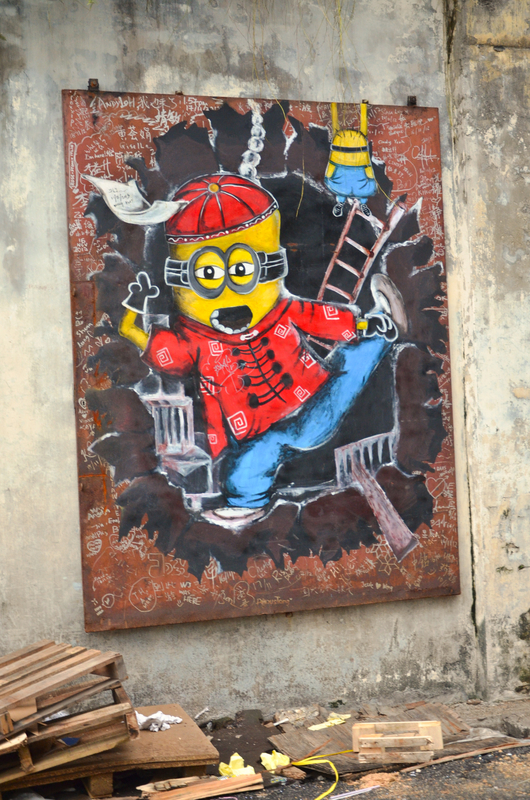 Ah Hwa@012-4624456. He voluntarily reduced our agreed price when he realised our destinations were not as far as we thought. Being tourists, we did not know, so even if he had charged us the full rate, we would be none the wiser. he can be called for airport pickups (which have no public taxis, only limos), day tours or airport transfers. Prices are negotiated before hand with him. He is a nice guy, and when i go back to Penang again, I will call for him. Here are some random shots I took of the city. 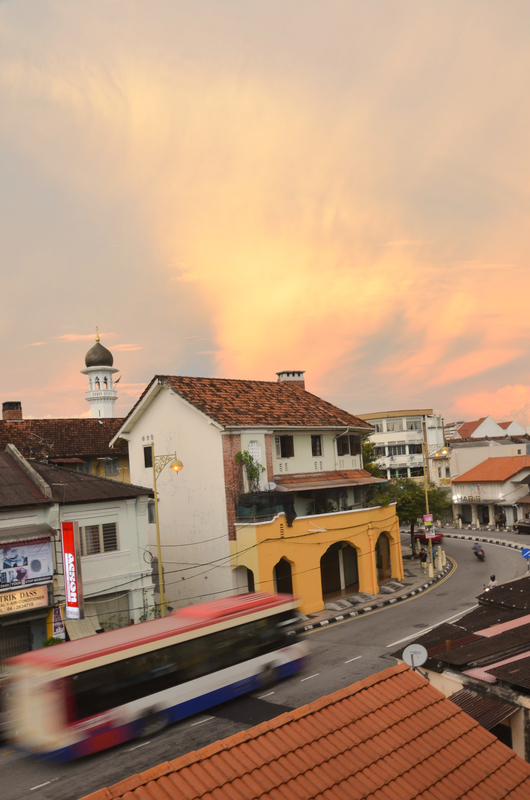 It is just to convey the unique feel of Georgetown, where time seems to stand still, where the old exists with the new with no awkwardness, but a natural harmony that makes the place such a wonder to be in. 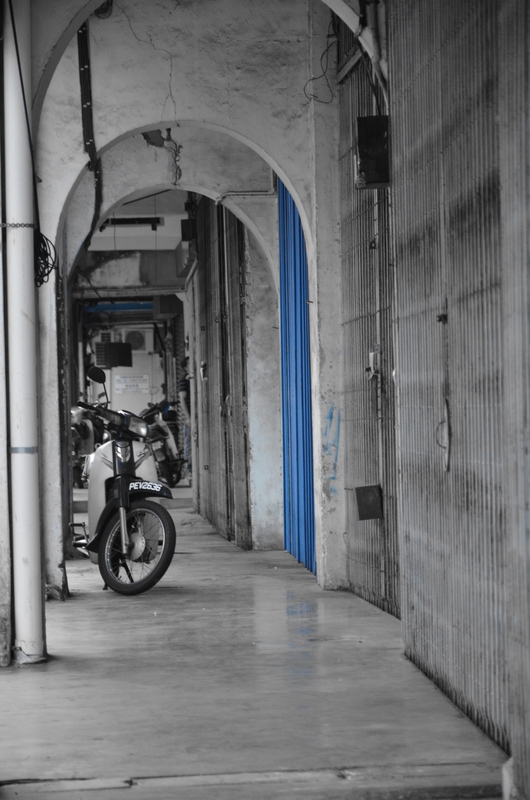 All photos taken with the Nikon 5100D 18-105mm Lens.